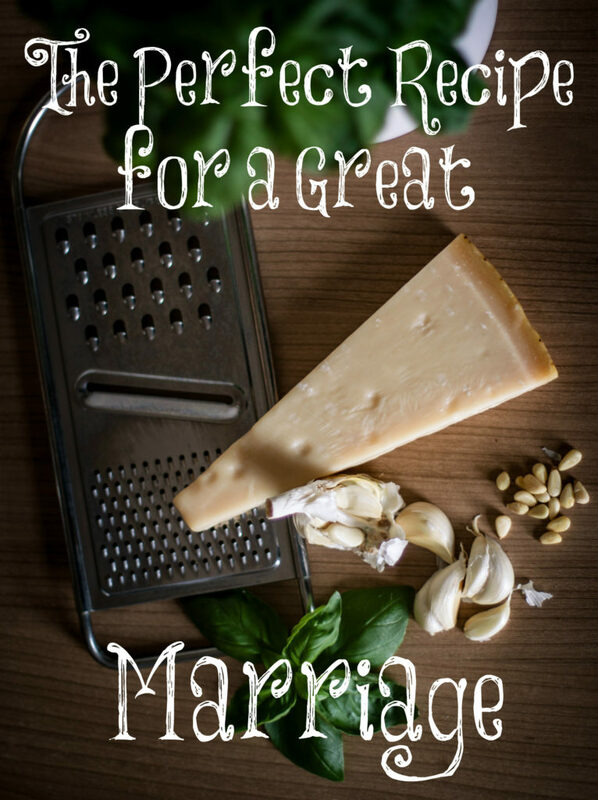 God has a perfect recipe for a great marriage and it’s in Colossians 3. “Seeing that ye have put off the old man with his deeds; And have put on the new man, which is renewed in knowledge after the image of Him that created Him” (Colossians 3:9, 10). The moment we believe, we have put off the old man and put on the new man. We are a brand new creature in Christ. Therefore, since we are a new man, what should our behavior be? “Put on therefore, as the elect of God, holy and beloved, bowels of mercies, kindness, humbleness of mind, meekness, longsuffering; Forbearing one another, and forgiving one another, if any man have a quarrel against any: even as Christ forgave you, so also do ye. And above all these things put on charity, which is the bond of perfectness.” (Colossians 3:12 -14). This right here is the perfect recipe to a great marriage and perfectly describe what it means to love our husbands. These commands are just before we are told, “Wives, submit yourselves unto your own husbands, as is fit in the Lord” (Colossians 3:18) which brings order in the home. Theses commands from Colossians 3:12-14 aren’t just for how we treat those outside the home but should be for everyone, especially our husbands. What we are with others, we should even be more so with those who we have bound ourselves together for life. Loving our husband has nothing to do with our feelings but an intentional walking in the Spirit with the one you are called to love the most! How can we consistently walk in the Spirit? “And let the peace of God rule in your hearts, to the which also ye are called in one body; and be ye thankful.” (Colossians 3:15) Everyone today is looking for peace. The peace they need is peace with the Lord. We have this peace and now we must let it rule in our hearts and be thankful. By being thankful for all of your blessings and knowing that Jesus tore down that curtain that separated us from God, we now can walk in the Spirit! “Let the word of Christ dwell in you richly in all wisdom; teaching and admonishing one another in psalms and hymns and spiritual songs, singing with grace in your hearts to the Lord” (Colossians 3:16). You must know the Word. It’s not a maybe proposition but a necessity. The Word is God’s Word speaking to us. Every single day allow God to speak to you personally through His Word. It is living and active and will convict and change you into His image. If your husband has a wife (you) who is “singing with grace” in her heart to the Lord, he will be a blessed man. “And whatsoever ye do in word or deed, do all in the name of the Lord Jesus, giving thanks to God and the Father by him” (Colossians 3:17). By living this way, you will be a crown to your husband. You won’t be able to be this if you are trying to do it in your own power. You need the Word and His Spirit working mightily within you to do the seemingly impossible but with the Lord all things are possible. This is such a great post! I’ve often thought that the Scriptures that speak most to how wives should minister to their husbands are the very ones you’ve quoted, even though all of them directly address marriage. Such is the power of the Bible. God’s blessings to you and yours, Lori! These are all great, Annie, but I see you left out all of the verses directed to wives and how they should treat their husbands. I teach women, not men. Concentrating on the verses that are geared for men is not what wives should do since they are only responsible for their own behavior, not their husbands. If they are married to a disobedient husband, 1 Peter 3:1-6 is their perfect prescription from the Lord.